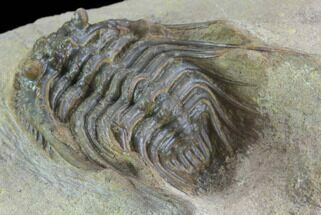 proliferated and thrived throughout the Paleozoic world, comprising one of the earliest known groups of arthropods. 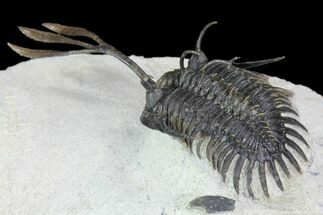 They flourished to over 600 species at their zenith, including many with exotic exoskeletons and unique feeding strategies. 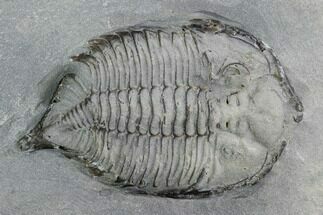 They are probably most closely related to modern horseshoe crabs. 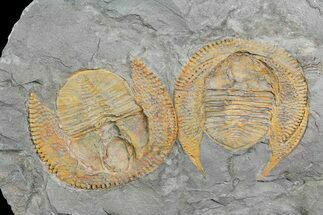 Though the Cambrian (521 mya) marks the appearance of trilobites in the fossil record, they were already highly diverse. 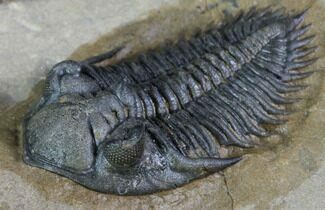 They continued to proliferate until their decline in the Devonian and eventual disappearance in the Permian mass extinction (250 mya). 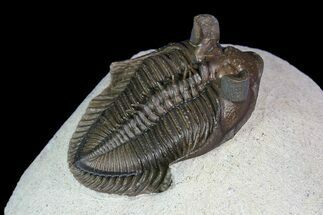 Trilobites evolved profound adaptations that place them among the most successful of all early animals. 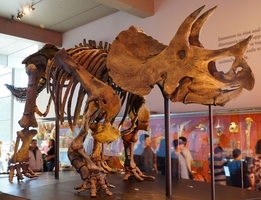 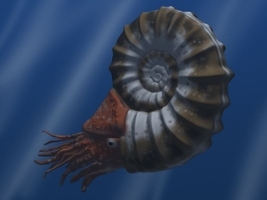 They patrolled, hunted, and scoured the oceans for over 270 million years. 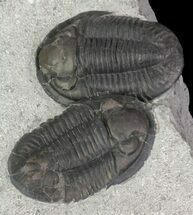 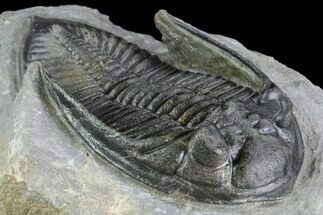 Trilobite means, “Three lobes.” This refers to their body plan. 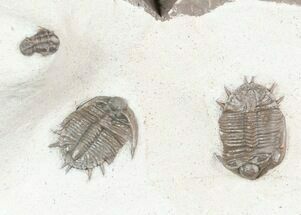 Trilobites occupied different levels of the food web including predator, scavenger, and prey. 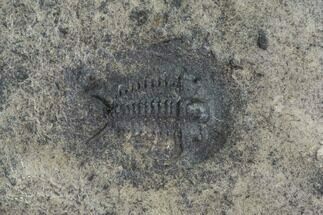 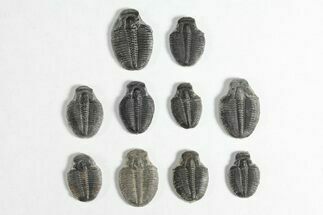 Trilobites molted their exoskeleton much like lobsters of today. 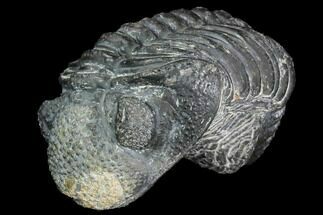 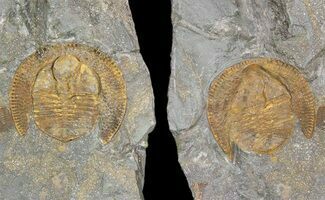 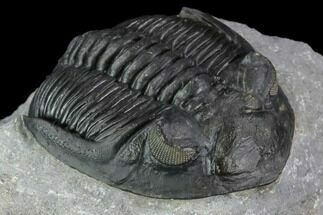 Most trilobites are one of the first animals known to have the sense of vision. 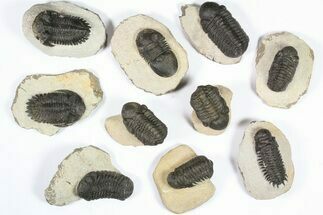 They had compound eyes contained lenses made of calcite crystals, something unique to trilobites. 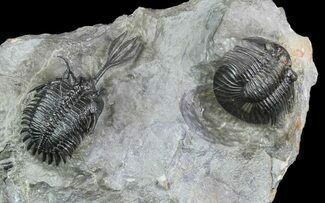 Trilobites had elaborate survival features such as eye stalks, spines, and an ability to enroll itself and shield its vulnerable parts from exposure. 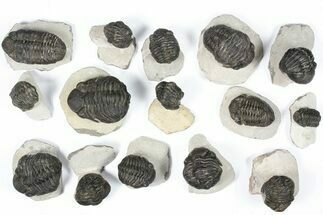 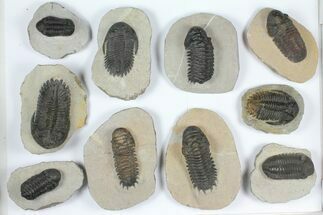 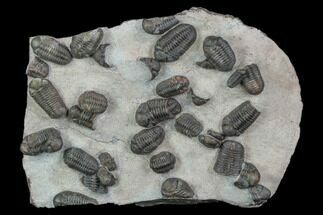 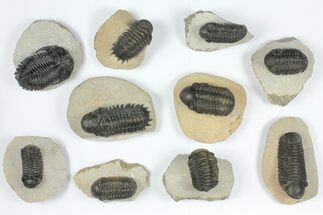 Trilobites hatched from eggs and preceded through different growth stages. 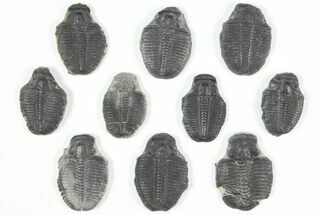 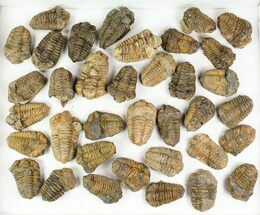 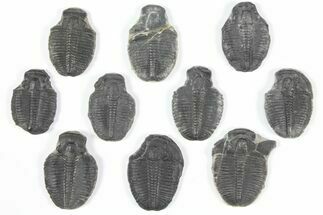 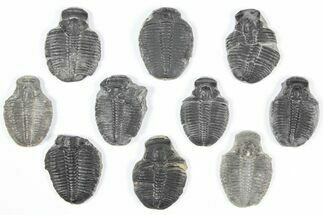 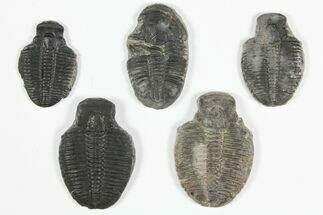 Trilobites vary widely in size and shape. 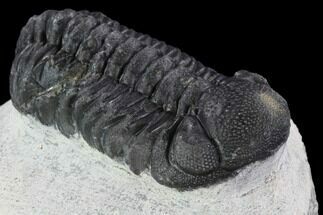 They can be so small enough to view with a microscope. 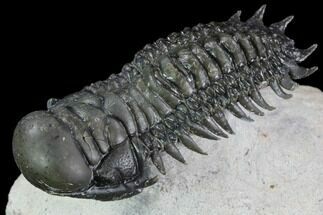 They can also be quite large. 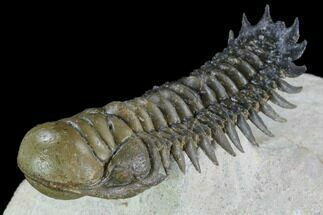 Isotelus rex could grow 2 feet long. 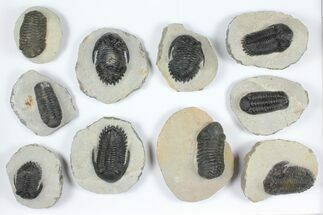 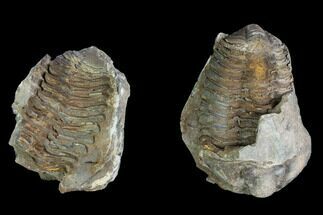 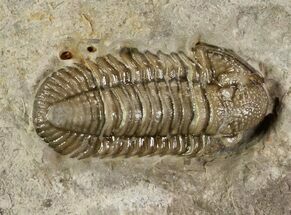 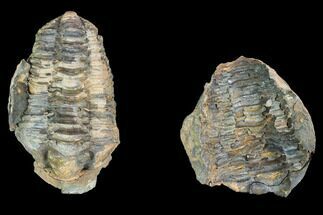 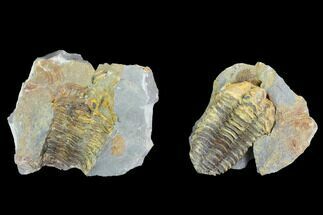 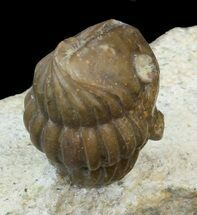 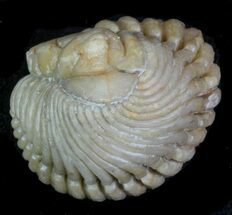 Trilobites are typically found by splitting sheets of shale and hard limestone deposits. 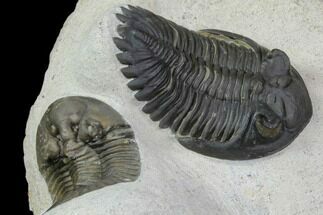 The name “Trilobite” means, “Three lobes.” This title refers to three main sections of the trilobite: a central lobe and two pleural lobes. 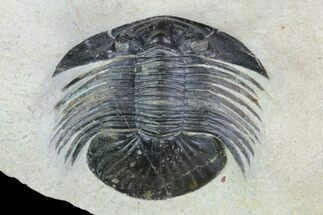 More popularly, they are referred to as: the cephalon (head), the thorax (abdomen), and the pygidium (tale). 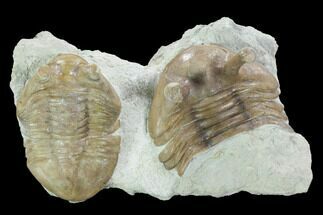 Beneath the tough exterior are three pairs of legs for the head and paired legs for each pleural groove. 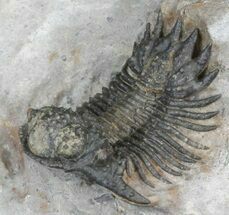 Trilobites have distinctive, biramous appendages (meaning two branches). 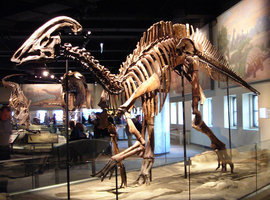 The exotic skeletal structures are beautiful and functional. 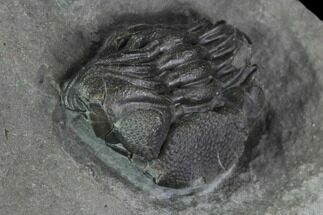 Some trilobites have a predatory hypostome apparently designed to hold, pin, or break up prey. 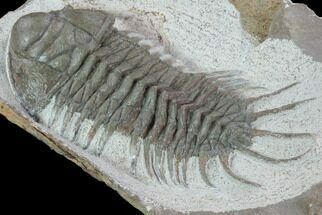 Tiny spines on appendages imply that such spiny structures act as little sweepers to move food toward the mouth. 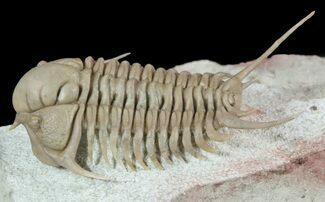 Some features on these appendages imply a filtering strategy, instead. 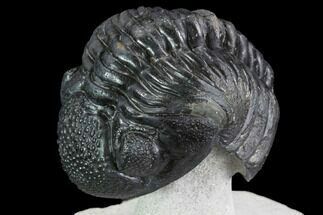 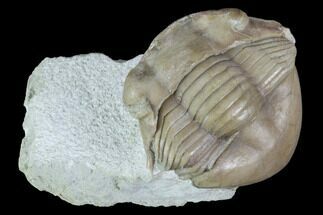 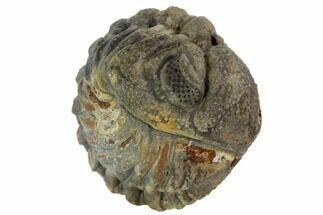 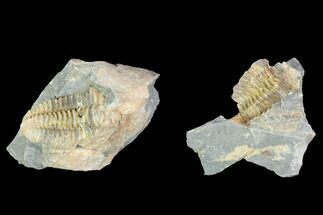 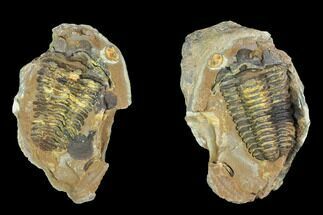 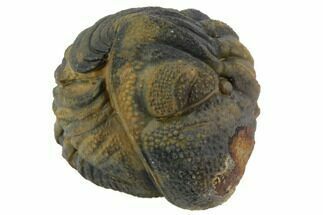 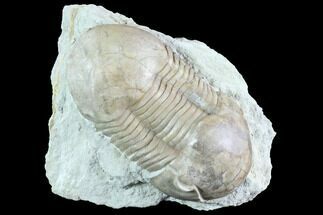 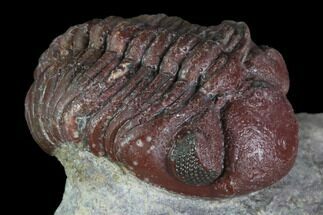 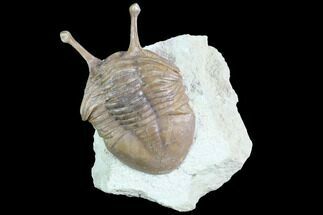 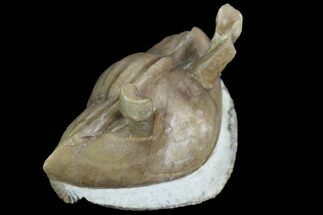 A trilobite from Russia the stalk eye Asaphus kowalewskii had eye stalks allowing it to scan it's environment while buried in the mud. 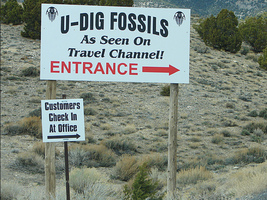 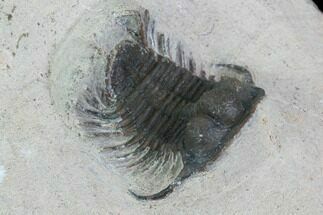 fossils such as little troughs in ancient mud, and feathery tracks imply that some species are mud scavengers. 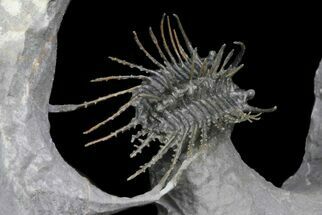 Streamlined body design or flowing spines imply the ability to swim or float efficiently for hunting or filtering. 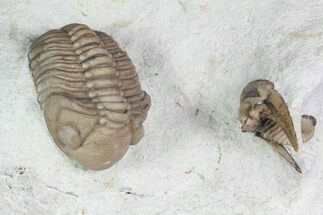 Individual trilobites buried while resting just outside worm burrows imply that some species may have hunted burrowing animals and possibly used their specialized appendages or hypostomes for such predatory activity. 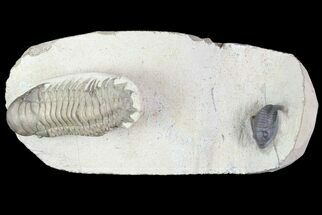 Features such as eyestalks and or a 360 degree field of view suggest a life history beneath the mud where food or danger lurked from above. 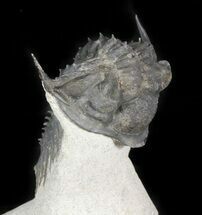 Many species have turreted eyes and other spiny features that may have been suited for life on muddy bottoms. 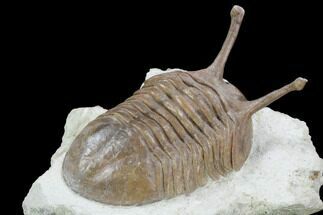 At least one species was able to live, and presumably feed in low oxygen environments. 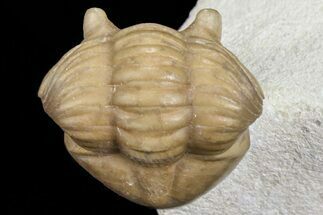 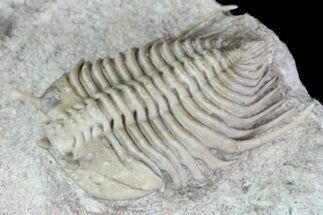 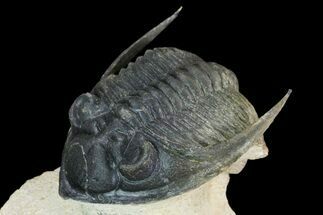 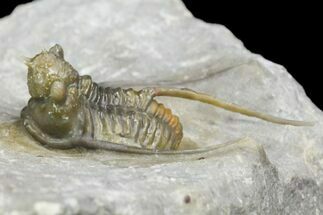 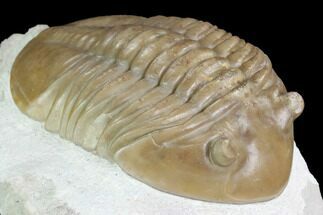 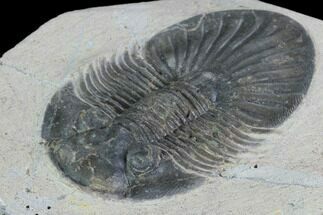 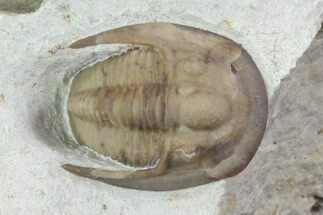 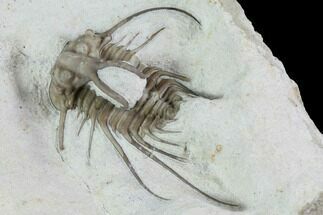 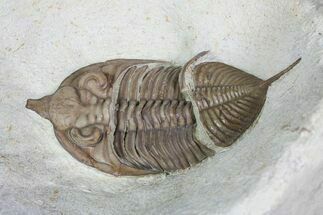 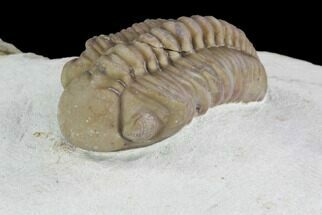 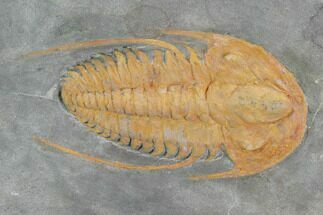 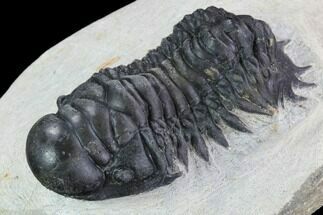 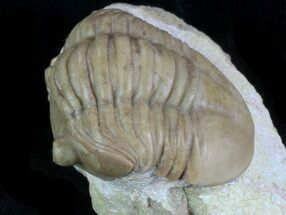 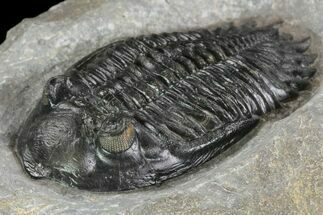 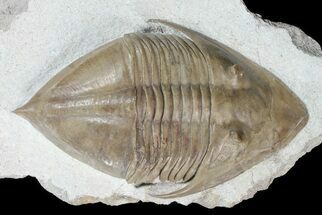 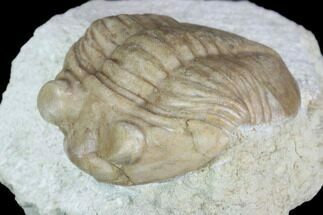 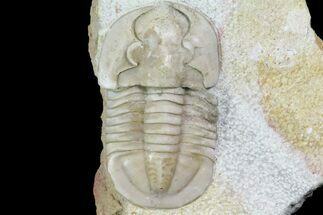 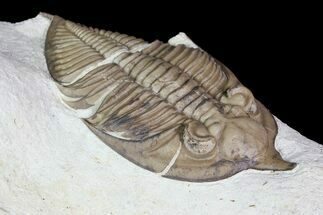 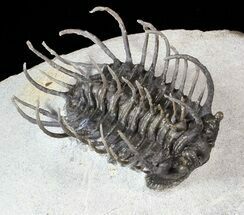 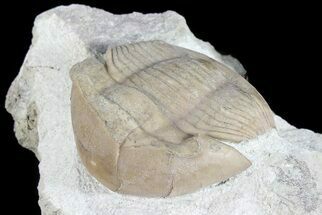 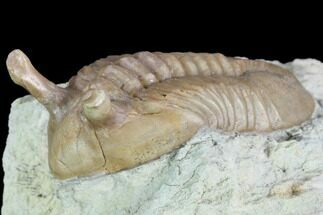 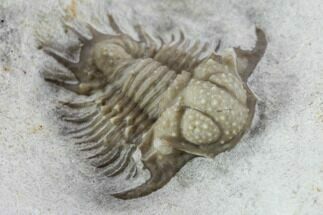 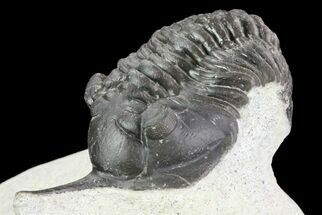 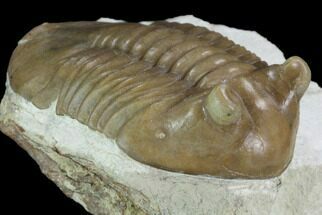 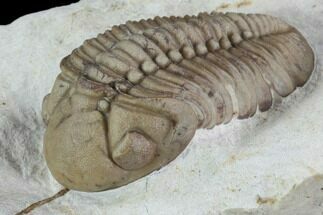 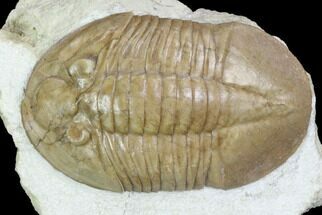 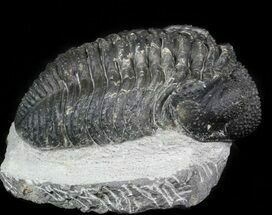 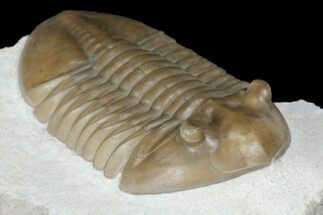 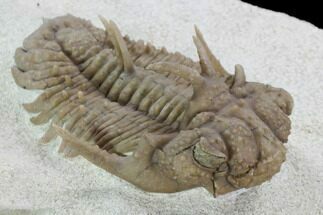 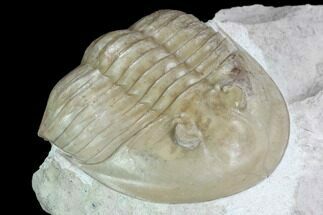 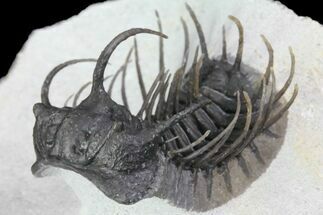 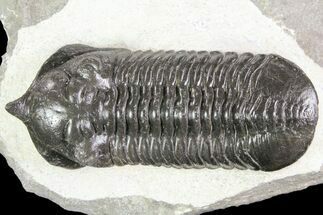 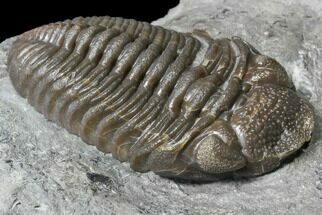 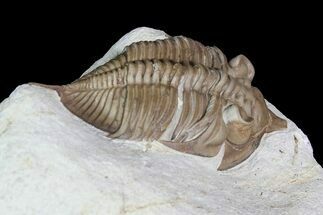 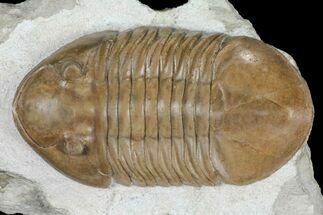 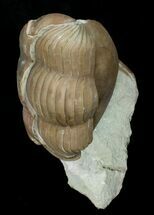 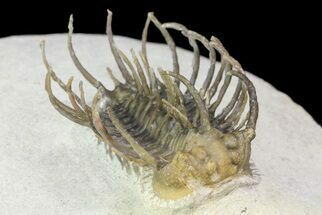 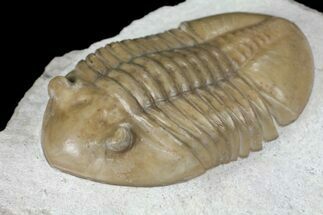 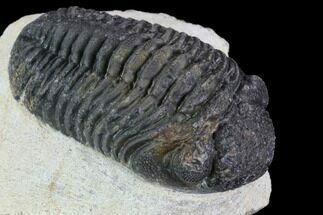 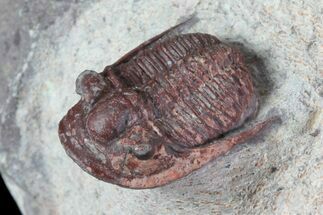 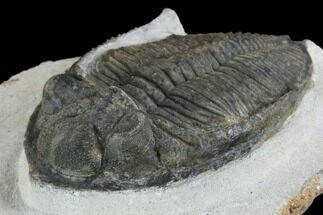 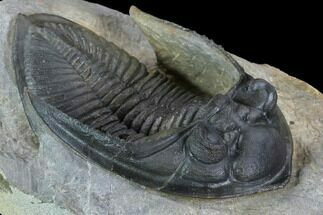 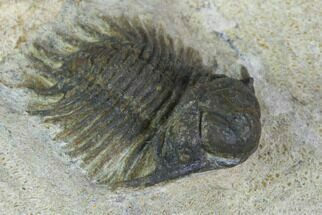 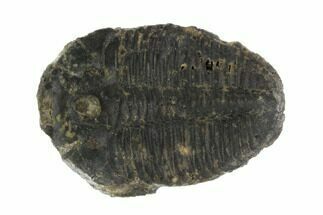 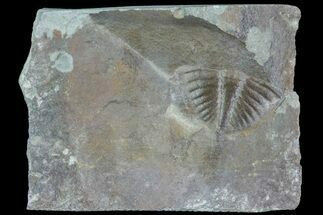 A fossil of a molted trilobite showing the missing librigena or "free cheeks"
molted their exoskeletons, a process called ecdysis. 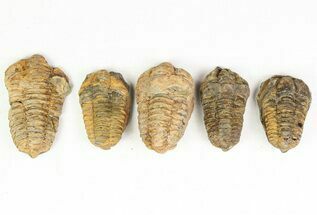 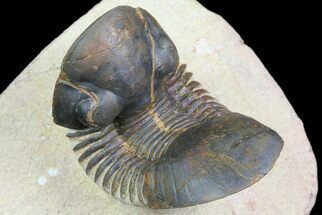 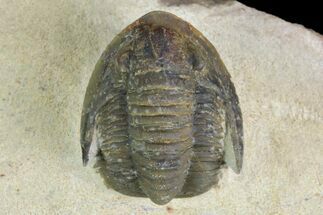 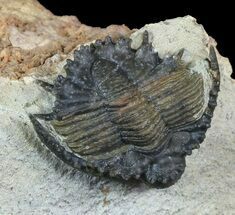 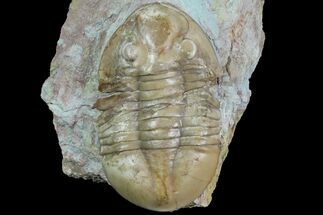 Since trilobites molted like other arthropods, they needed a means to remove themselves from their exoskeleton when it became too tight. 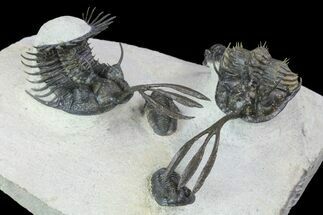 They did this through their crescentic head shield. 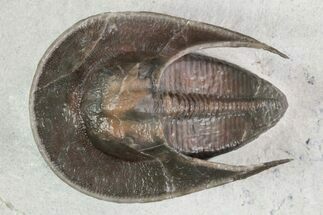 The cephalic shield disintegrated into individual parts: the cranidium (which is the globella and free cheeks), a rostral plate, and hypostome (a stiff structure associated with the mouth). 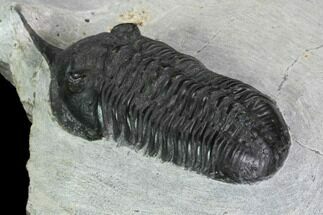 First, the animal found a relatively safe place. 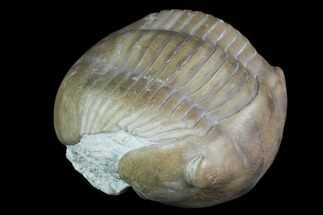 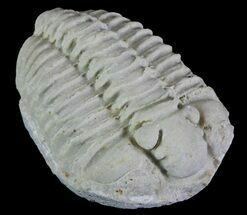 Trilobites became soft, delicious treats without their shells. 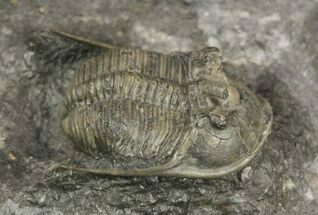 Hormones are likely to have stimulated the molt process. 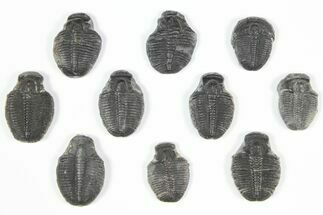 In insects, a sudden release of prothoracicotrophic hormone in the corpora cardiaca causes the prothoracic glands to release specific molting hormones called, ecdysteroids. 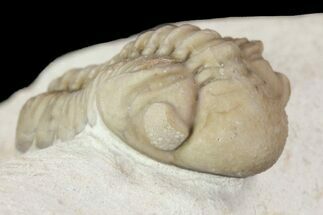 After stimulation, likely by hormones, facial sutures start to break open. 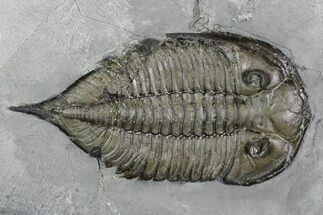 The “free cheeks”, or librigenae, are attached by facial sutures. 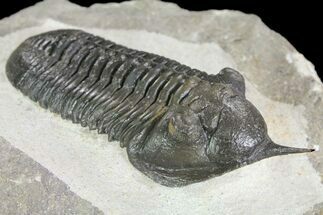 The soft animal can slide out of the exoskeleton through the opening in the facial sutures. 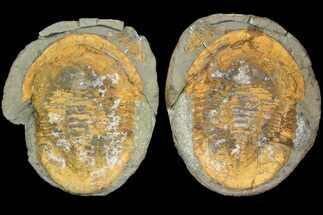 Facial sutures terminate on the genal area of the cephalic shield. 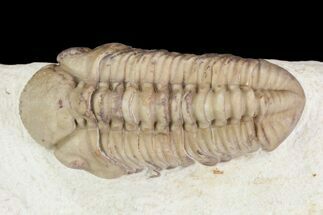 (The spines that point laterally and outward from the cephalic shield are called genal spines.) 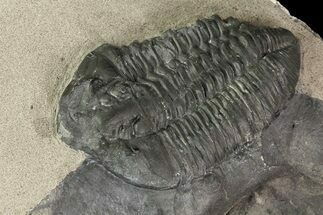 The three kinds of sutures are defined by where the termination occurs. 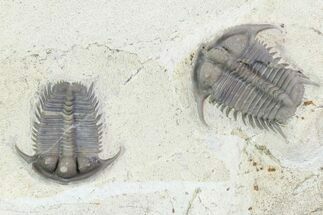 The three types are called proparian, gonatoparian, and opisthoparian. 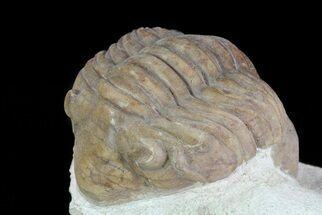 The proparian sutures terminate anterior to the genal angle, the opisthoparian sutures terminate on the posterior cephalic margin, and gonatoparian sutures terminate between the other two, at the genal angle. 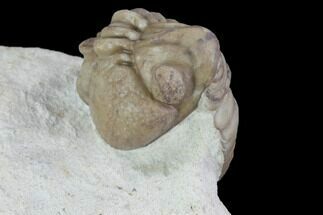 Suture position determined whether the visual surface stayed with the free cheeks or remained with the cranidium. 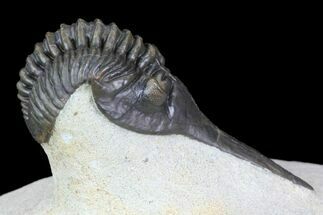 New cornea material was reconstructed. 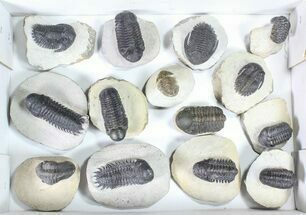 Different species had different suture characteristics. 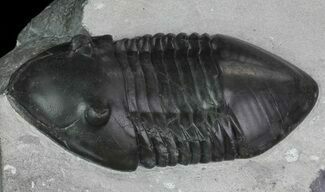 Some groups such as Phacops and Asaphus had sutures which were inseparably fused. 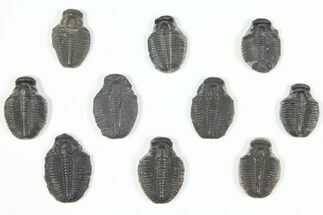 We can only speculate as to how they climbed out of their shell. 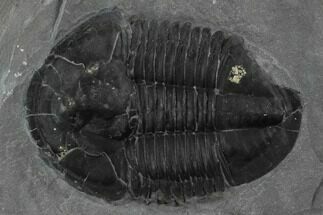 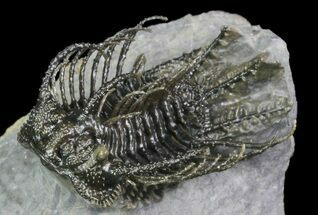 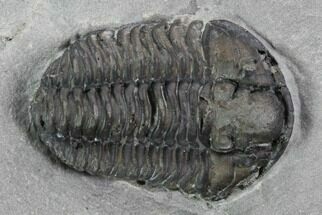 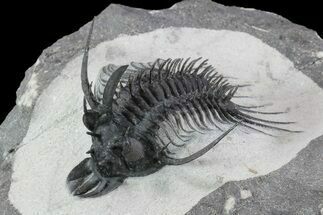 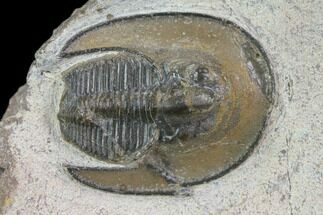 During reconditioning of the exoskeleton, trilobites may have secreted a thin prismatic layer first, with a very thin primary layer underneath that continued to thicken. 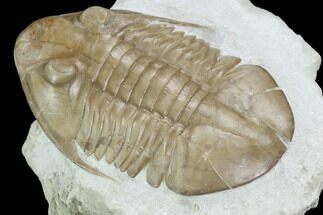 The primary layer resists cracking, making the exoskeleton strong enough to stand up to the force of preparation, even after these millions of years. 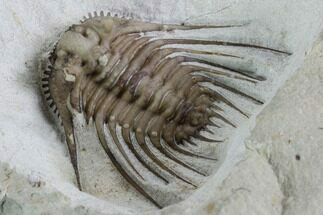 “Sheds” are the molted exoskeletons that prevail in the trilobite fossil record. 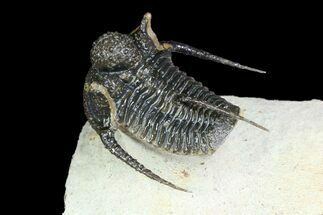 They typically do not have free cheeks attached, but the cheeks are not far away from a molt which was buried quickly. 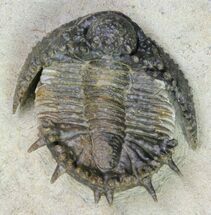 It is believed that mating occurred post-molt while the animal was still soft. 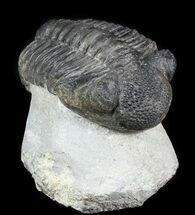 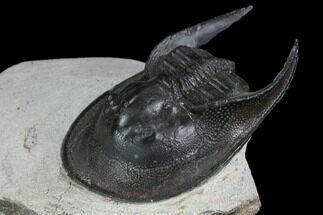 Faceted eye of the trilobite Eldredgeops rana crassituberculata of Ohio. 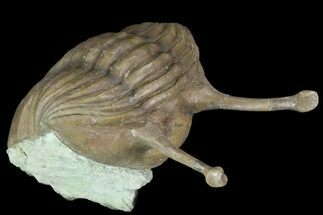 are the most primitive animal known to have vision. 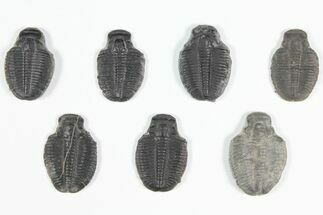 Some possessed stalked eyes, others had turrets full of lenses, and some seem to have no eyes at all. 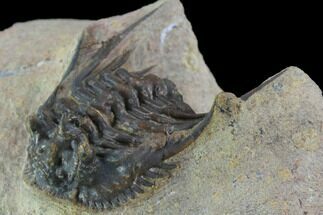 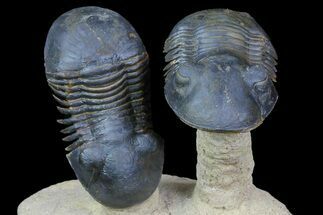 Many trilobites evolved compound eyes with 360 degrees of vision. 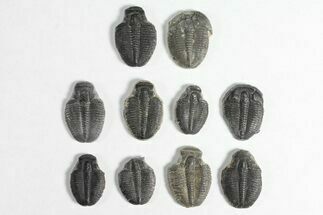 Some trilobites have expansive lenses which are separately inlaid and without a common cornea. 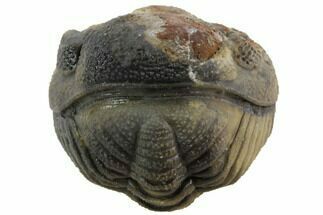 This compound eye is an adaptive design of the sub-order to Phacopina. 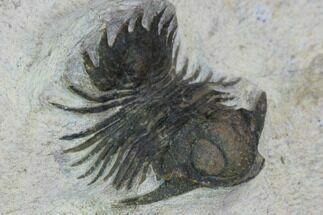 It is known as the schizochroal eye, and this style of sight is ideal for low light conditions. 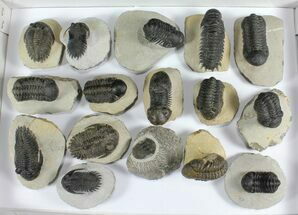 This particular adaptation included up to 700 lenses which were thick, and relatively large. 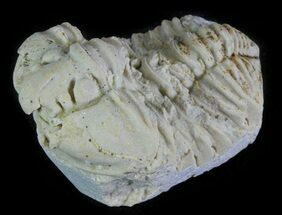 The calcite which comprised the lens was extraordinarily pure. 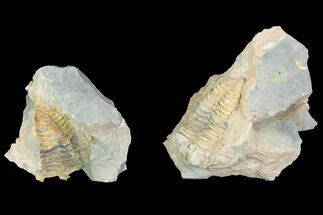 A system of mounted, double lenses was effective for reducing the distortion that can occur with calcite crystals. 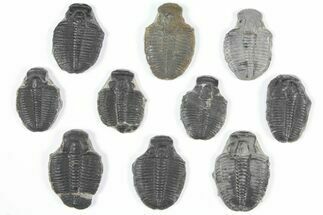 A wide field of view was an advantage to trilobites with perched or turreted eyes. 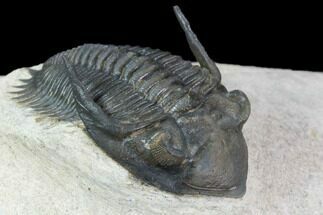 Some trilobites peered through the most ancient and widespread mode of trilobite vision- holochroal eye. 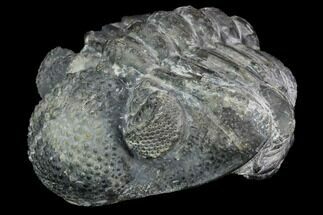 These eyes were often comprised of thousands of tiny lenses. 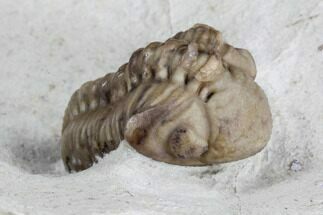 A single corneal membrane covered all of the lenses of this compound eye. 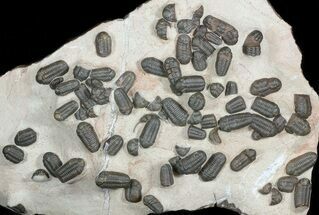 The lenses were packed closely in a hexagonal fashion. 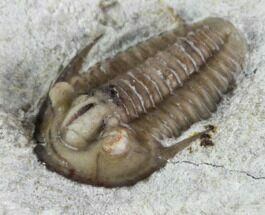 The eyes were not covered by the white layer of sclera. 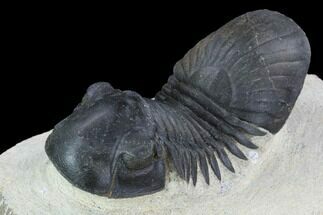 Modern arthropods do have sclera covering their eyes. 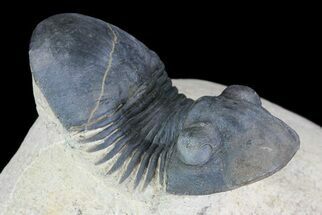 A few Cambrian species have the abathochroal eye. 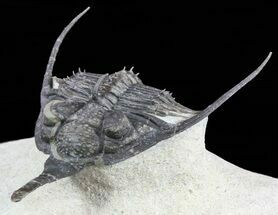 This type of vision is similar to the schizochroal eye. 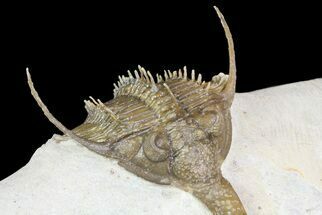 The sclera is not thick, and the corneal membrane does not reach downward like the intrascleral membrane which deeply anchors the corneal membrane in Holochroal and shizochroal eyes. 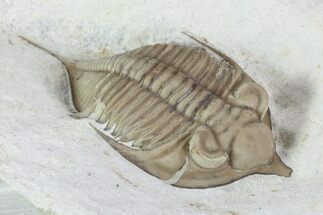 In the abathochroal eye, the corneal membrane ends at the edge of the lens. 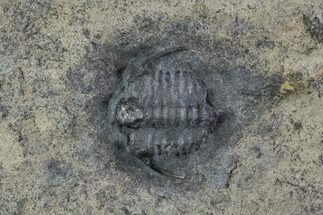 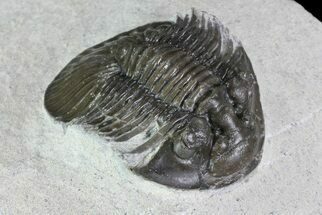 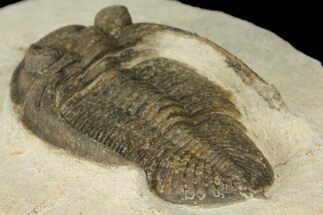 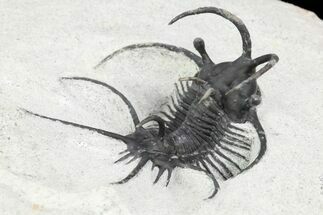 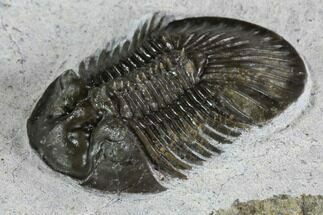 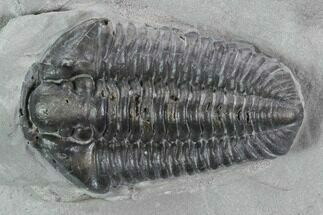 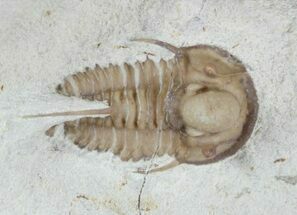 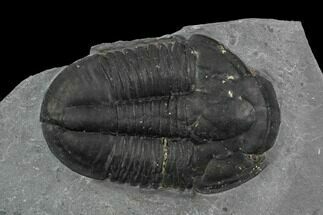 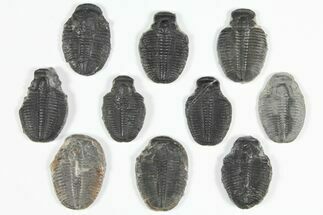 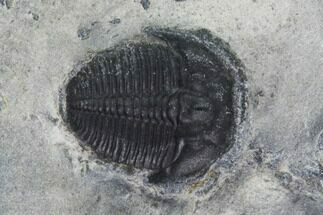 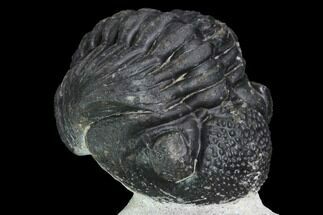 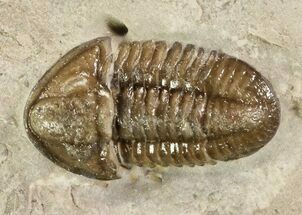 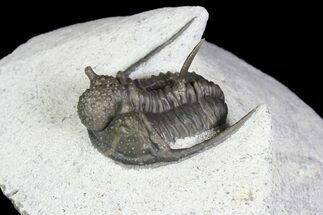 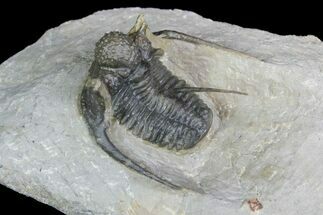 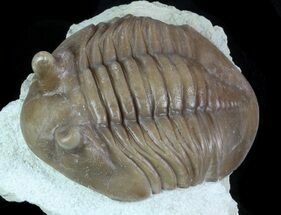 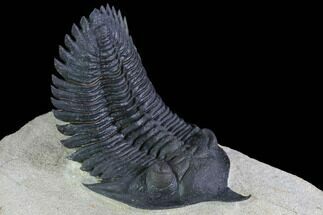 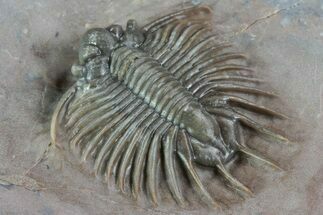 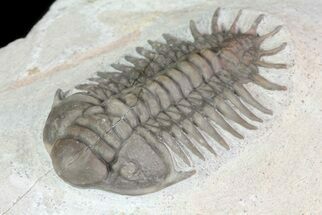 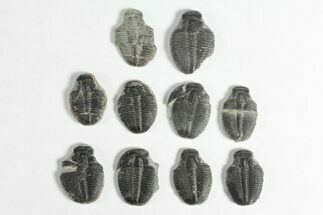 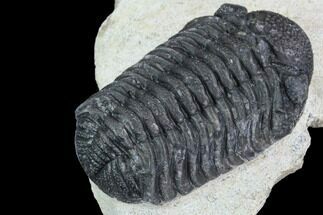 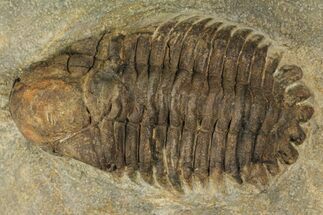 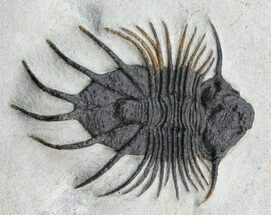 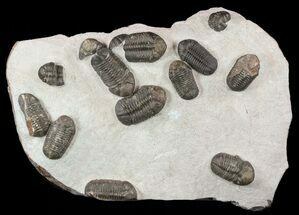 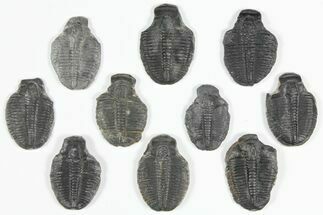 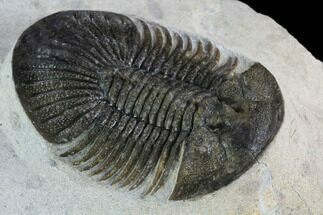 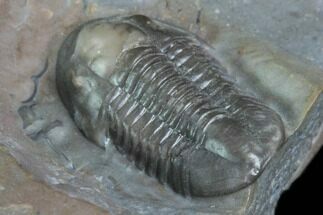 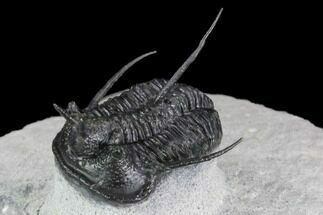 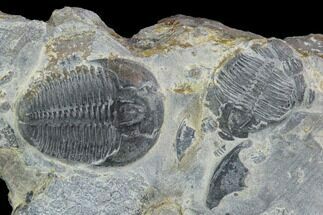 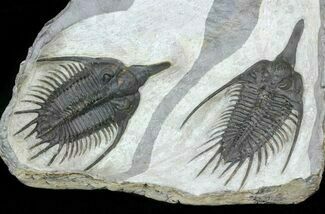 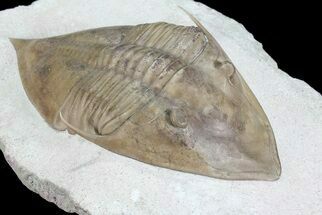 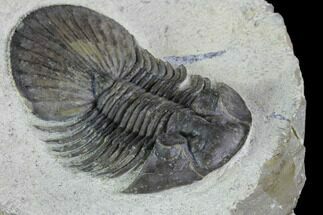 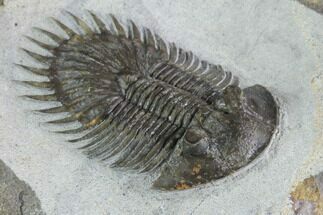 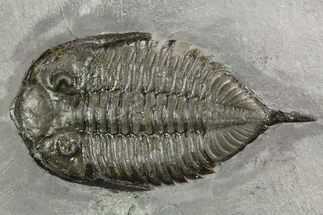 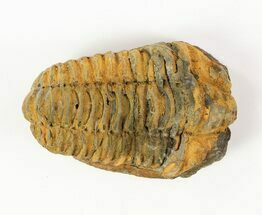 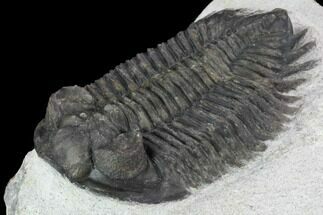 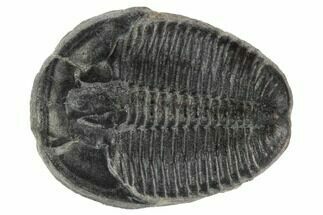 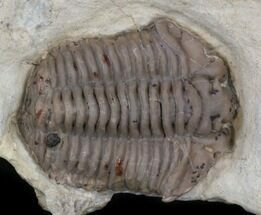 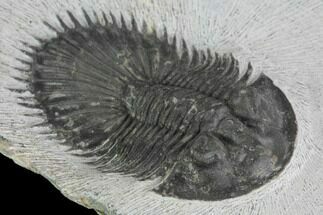 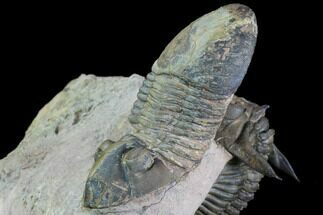 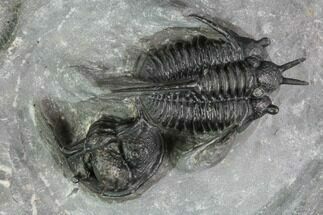 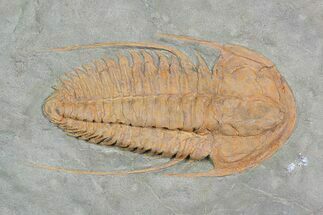 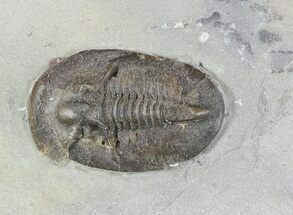 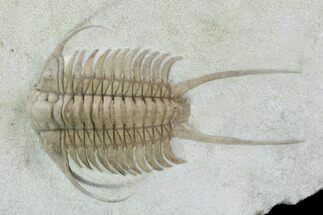 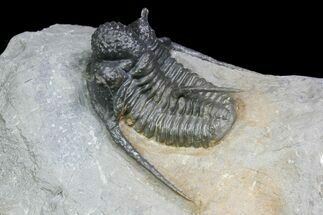 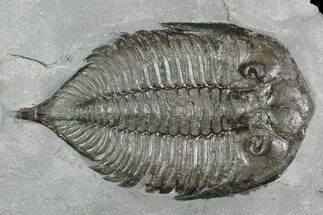 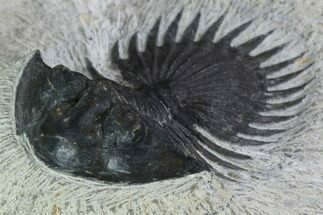 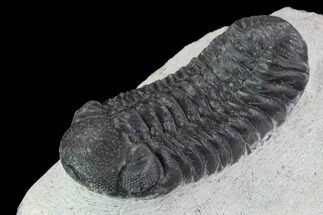 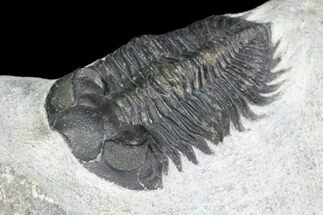 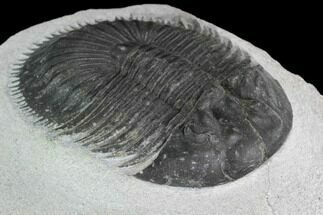 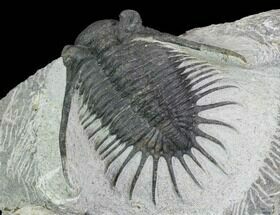 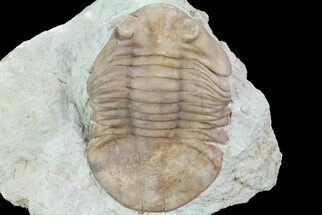 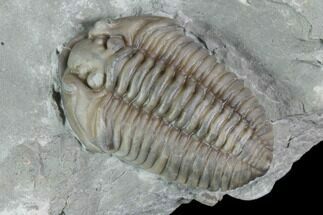 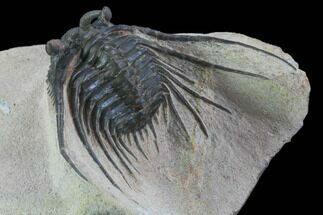 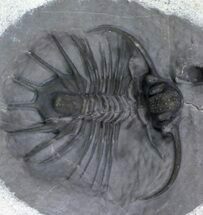 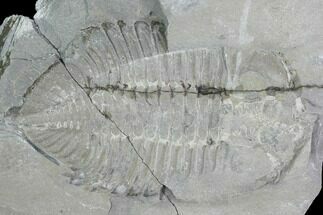 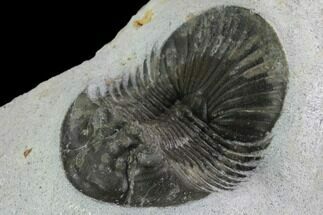 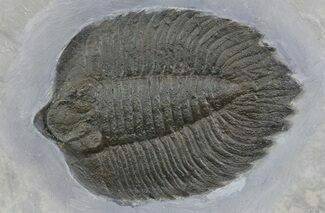 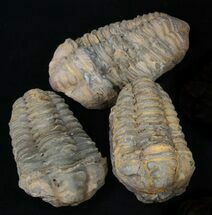 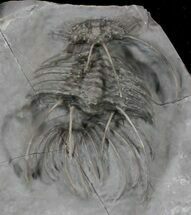 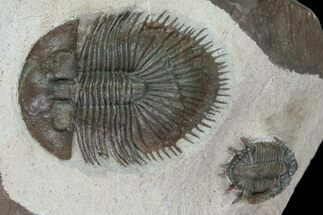 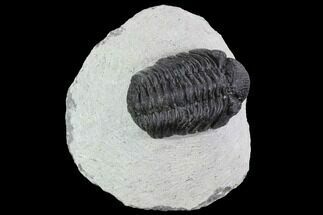 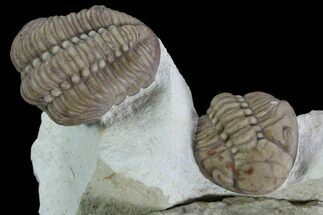 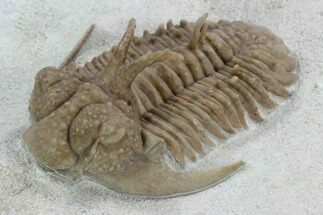 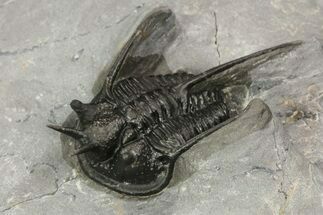 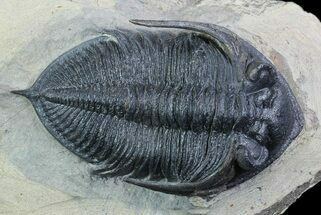 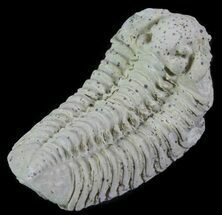 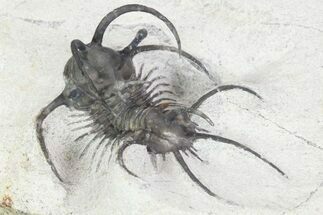 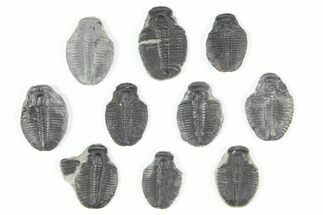 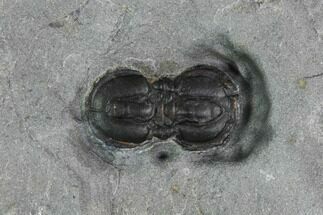 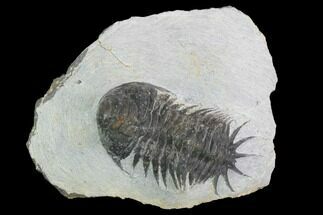 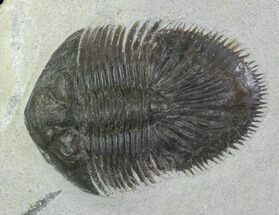 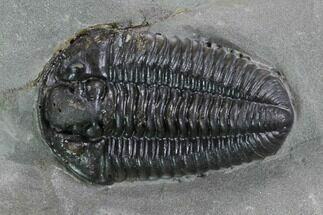 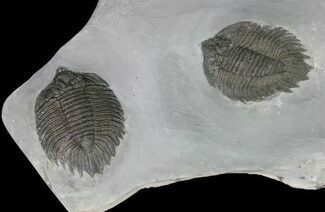 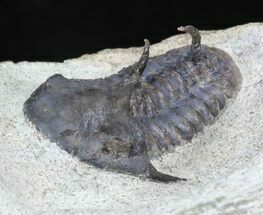 It is considered likely that trilobites mated just after moulting, but before their exoskeleton hardened and thickened. 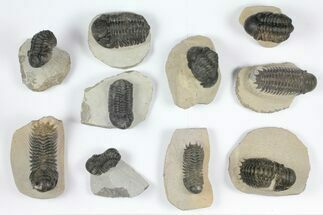 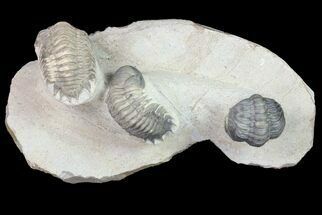 After hatching from eggs, trilobites advanced through three different stages of distinctive morphology: protaspid, meraspid and holaspid stages. 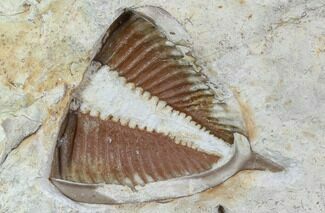 Each successive stage included the addition of segments and ornamentation. 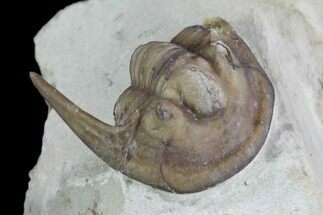 Adults in holaspid stage could continue to increase in size until their body mass and environmental limitations halted growth. 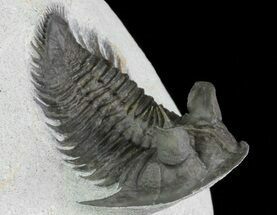 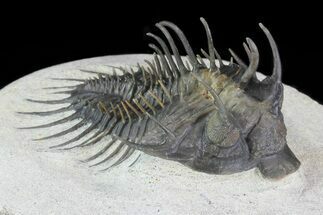 While many trilobites are penny-sized and even an inch or two long, several are quite small and others startling enormous, such as Isotelus rex which could grow over two feet long. 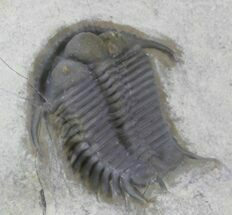 Arthropods are the living relatives of trilobites. 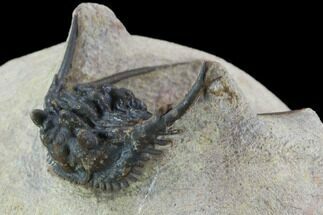 Spiders, scorpions and crustaceans share characteristics, providing clues to the Paleozoic lifestyle of their extinct forerunners. 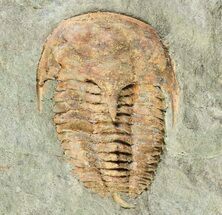 An arthropod is an invertebrate with an exoskeleton. 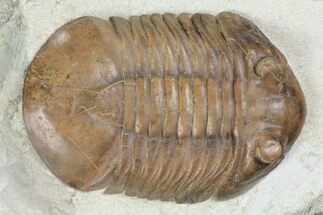 Arthropods have a segmented body, and jointed appendages. 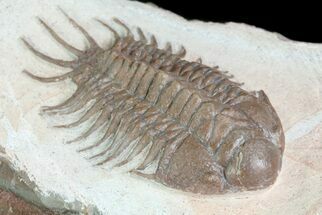 Arthropods have a pair of appendages on each of its repeated segments. 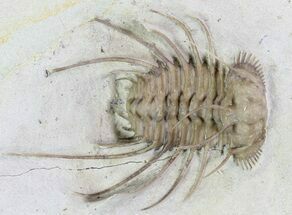 Arthropoda, is a phylum whose name means “jointed legs.” Arthropods are characterized by their jointed limbs and an external cover of chitin. 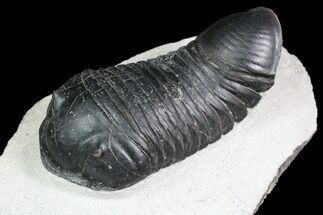 This covering is called a cuticle. 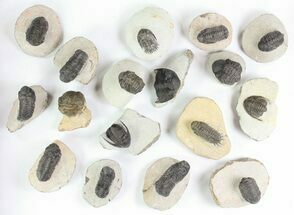 The cuticle can vary in chemical composition, strength and rigidity. 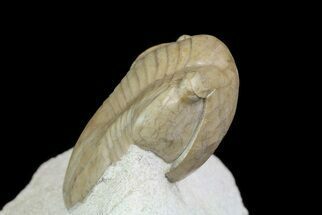 Molting replaces the rigid cuticle as the animal outgrows it. 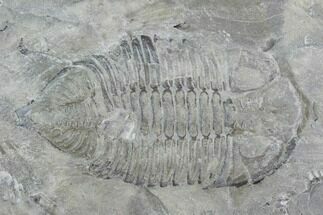 Crustaceans utilize calcium carbonate to biomineralize the cuticle. 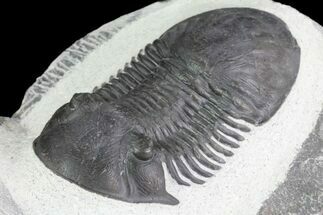 The early Cambrian (521 mya) marks the first appearance of trilobites. 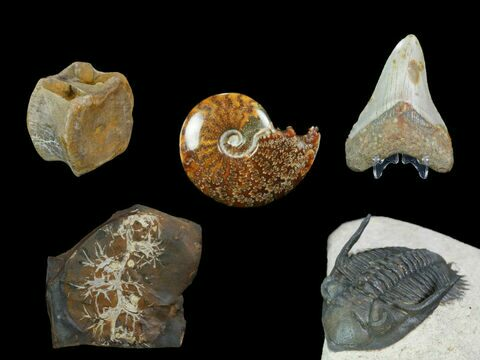 From this era, fossils already display a high degree of diversity and geographic distribution, therefore emergence was much earlier. 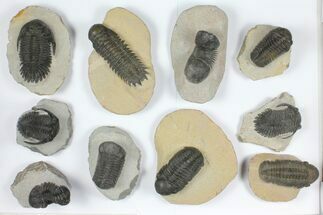 Trilobites continued to develop and radiate during the lower Paleozoic until their decline into the Devonian. 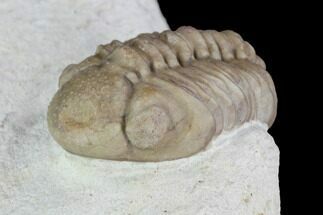 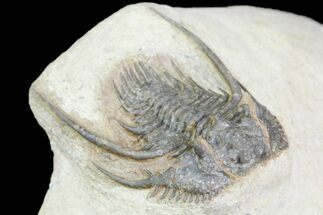 Proetida is the only trilobite order that survived into the Permian. 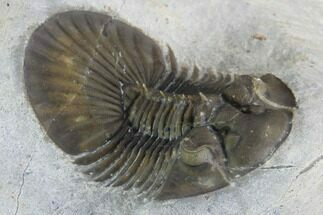 The Permian mass extinction that occurred 250 mya, included the disappearance of the last trilobites, as well. 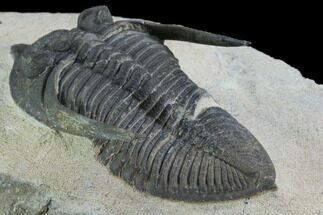 The end of the Ordovician saw the onset of extensive ice ages. 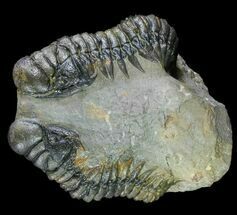 The consolidation of Pangea would have cooled the earth by cutting off ocean currents. 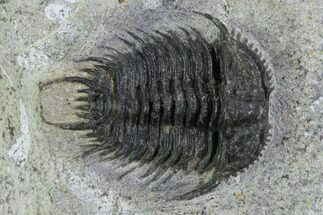 This affected populations in the open ocean, but trilobites living on warm continental shelves continued to thrive and diversify. 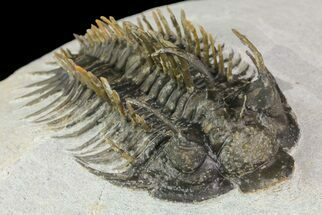 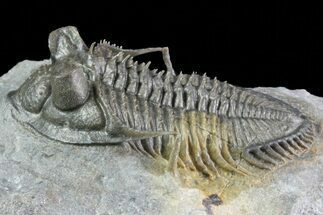 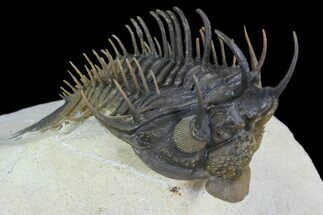 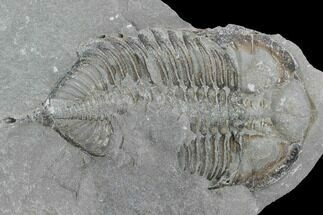 The evolution and proliferation of jawed fish likely exacerbated the decline of trilobites, but was probably not the primary reason for reduction in populations. 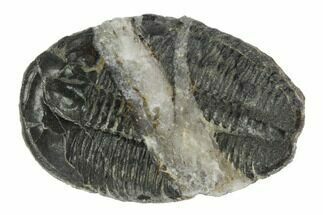 Warming and cooling trends caused by volcanism is another idea, as are the effects of a meteor impact. 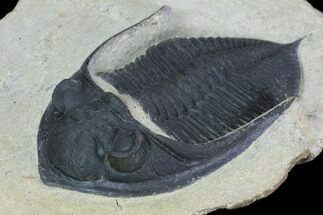 Very high carbon dioxide levels would have also killed marine species and affected the food chain. 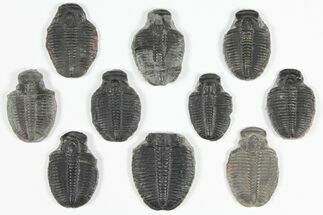 There is no definitive conclusion as to what eliminated these exotic treasures from the Earth. 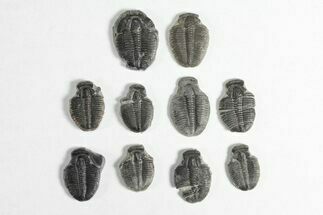 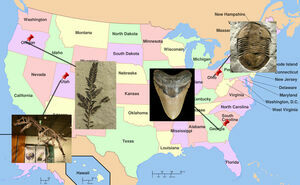 Austerops Trilobite Mortality Plate From Jorf - 40 Individuals! 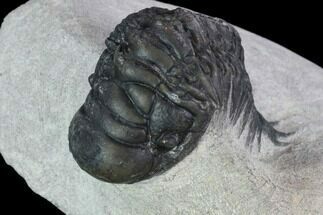 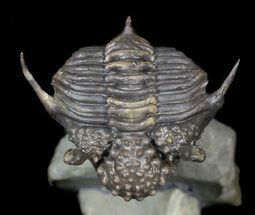 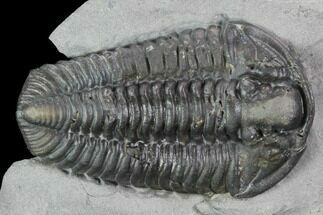 Spine-On-Spine Koneprusia Trilobite - Very Speciel Prep! 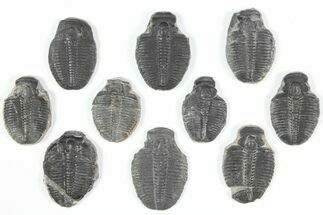 Extremely Rare Moroccan Lichid Acanthopyge - 2.75"
Austerops Trilobite Mortality Plate From Jorf - 18 Individuals! 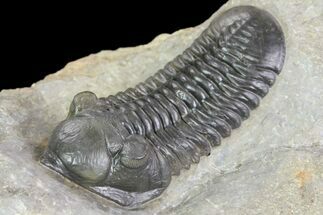 4.5" Long Huntonia Tail - From Giant Trilobite! 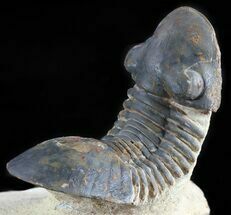 .95" Rare Cyphaspis Eximia With Four "Horns"